It’s only 10 miles from Cowes to Southampton on a Red Funnel ferry, yet the Island feels much further away. Just 37 kilometres long and 21 kilometres wide, this diamond-shaped wedge of land is packed with an astonishing variety of landscapes, each with a special beauty. From rolling, broad-backed open downs and tranquil estuaries teeming with bird life, to glorious ancient woodland, sandy bays and wooded chines, the Island’s natural assets have long been a source of enjoyment. Add to that the special light you get from being surrounded by the sea and it’s no wonder artists find such inspiration here, among them Joseph Mallard William Turner. Arguably Britain’s greatest painter, Turner first came to the Island as a teenager in 1791, but his most important visit took place between August and September 1795 when he filled a sketchbook, now in Tate Britain, with pictures of Island locations, including Godshill, Colwell and Totland Bays, Carisbrooke Castle, Chale Farm, Steephill Cove and Appuldurcombe. Many celebrated artists have followed in his footsteps, among them 20th-century painter Edward Seago, who produced stunning landscapes of the Island. But there are a growing number of artists who have either moved to the Island permanently, or were born and bred here, who continue to be inspired by the breathtaking land and seascapes that the Island has in abundance, notably David Firmstone (who won the Turner Watercolour Prize in 2013), Lisa Traxler and Celia Wilkinson. You can see for yourself during Open Studios (13-23 July), when around 120 exhibitors from a wide range of disciplines throw open their doors to give visitors an insight into their work, as well as the opportunity to buy or watch a demonstration. Visitors and Island residents alike enjoy picking up a paintbrush to try out an art class, according to Julie Sajous. The Yarmouth-born acrylic and mixed-media artist has been teaching painting for the last three years in a roomy, light-filled trailer at the bottom of her pretty garden in Wellow, West Wight. “There’s so much interest in this kind of thing now. For many, it’s about much more than just painting — it’s a kind of therapy. We don’t talk about politics — we have a laugh and we eat cake, and there’s a lot of value in that. It doesn’t matter if you haven’t touched a paintbrush since primary school, painting is empowering,” says Sajous. 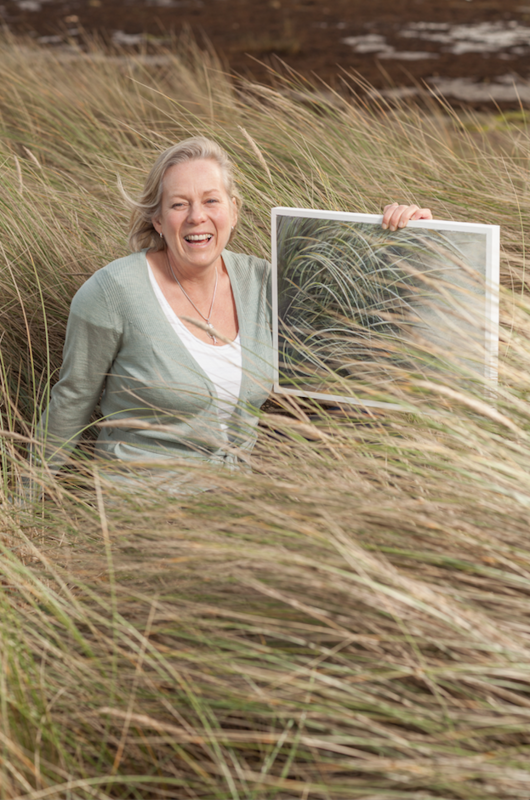 When it comes to her own work, anything to do with the coast here inspires her, from the marram grass on the dunes at Sandhard Beach in Yarmouth to old hulls. “Boatyards, too, are a huge source of inspiration — all those masts and booms. I love pontoons, too, particularly those on Colwell Beach. There are a lot of horizontal and vertical shapes in my work. It’s probably because my dad was a boat builder,” she says. “The River Yar also continues to be a huge source of inspiration as it’s so unspoiled. And who wouldn’t be inspired by Compton Bay?” she says, of the stunning two-mile stretch of contrasting golden and dark sands in West Wight. As well as painters, the wealth of land- and seascapes on the Island has provided inspiration to all kinds of photographers. One such is Julian Winslow, who has taken a fair few photographs for this very magazine, but has also created his own, distinctly more arty body of work. 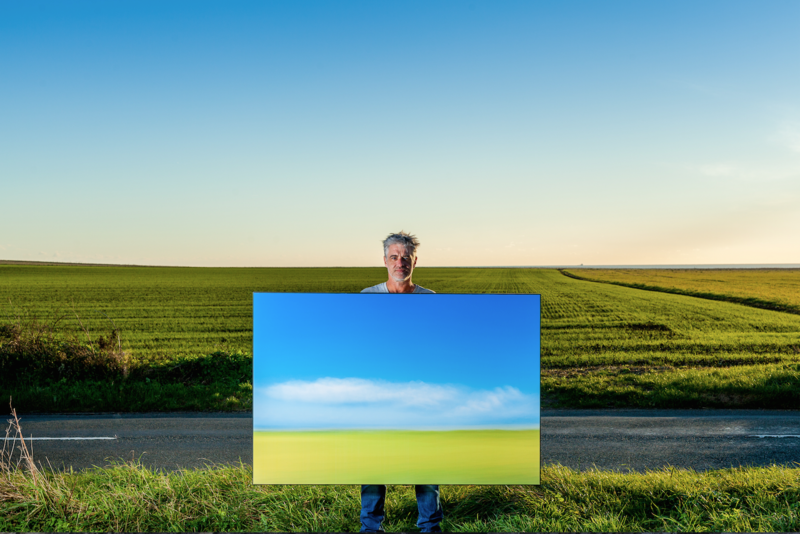 Since giving up his day job as a gardener at Ventnor Botanic Garden 17 years ago, Isle of Wight-born Winslow has worked as a digital freelance photographer, producing some awe-inspiring art photography alongside his more commercial work. Portrait of an Island, for example, is a series of portraits that pays homage to Victorian photographer Julia Margaret Cameron. His most recent project, Drive-By Shooting, was inspired by childhood journeys to Compton in his parents’ Hillman, speeding past hedgerows and fields full of crops on the Military Road in an area the locals call Back of the Wight. It is an attempt to explain his deep relationship with the Isle of Wight landscape and in particular with the Island’s rivers, which are inspiring a new body of work using long exposures. “I love to stretch the moment — to step out of how we perceive what we call time,” he explains. Sally Woodford, meanwhile, gets excited by a worm cast — or, to be more exact, a coiled lugworm cast on the beach at Bembridge. In fact, there’s a lot on the beach at Bembridge that inspires the ceramic sculptor. have touched it,” she says. Woodford’s ethereal standing forms were inspired by the groynes on the beach at Bembridge. “They’re beautifully weathered — they almost look like teeth. They’ve worn into these beautiful shapes, all irregular heights and sizes. And I love the fact that the sea has formed them,” she explains. Bembridge Ledge, too, is another rich source of inspiration. The ledge is a rocky platform that is revealed at low tide, dotted with pockets of sand for paddling and rock pools for exploring. “When the tide is low in the spring, intense green seaweed covers the rocks — you can see that same green in the coloured glaze in my work. Layers of yellowish stone and a striking seam of turquoise-blue slipper clay run along the ledge, which I’ve also tried to replicate,” says Woodford. She displays some of her work at Anne Toms’s popular Yarmouth Gallery, but she sells most of it directly. Visitors are welcome at the studio by appointment. “I’m very happy to explain my processes and how the work has evolved over the years,” she says. Woodford’s most recent work has drawn inspiration from the landscape around her home in Thorley, West Wight: “From the large skies to the patterns of the fields — it’s more open on this side of the Island. Although I will always refer back to my stone collection,” she adds. For more information on Open Studios Isle of Wight, visit isleofwightarts.comJulie Sajous’ work is available to buy from £75. Visit juliesajous.com Work from Julian Winslow’s Drive-By Shooting project is available to buy from £700. Visit julianwinslow.com. 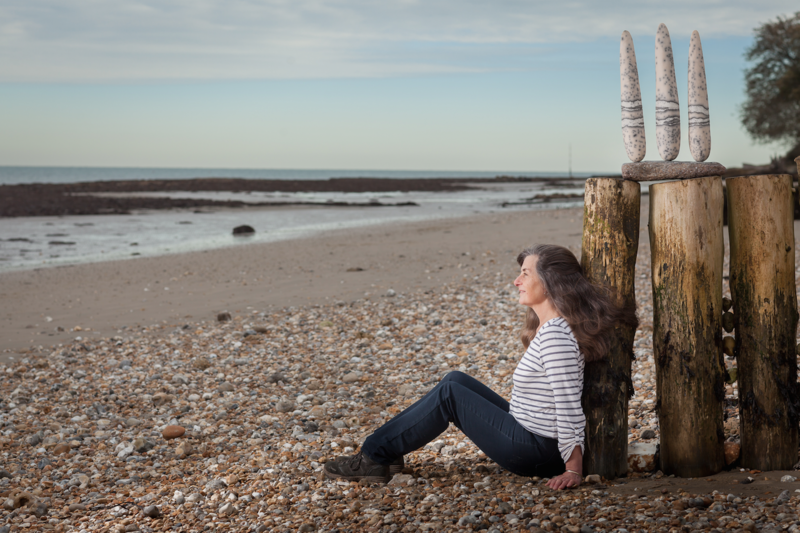 Pieces by Sally Woodford start from £60, with the standing forms inspired by the groynes on the beach at Bembridge costing £395. Visit sallywoodford.co.uk.